Recently, I was introduced to a new technology called ETL (Extract, Transform and Load) which I can use to simplify and to increase the productivity of my daily tasks as AEM migration developer. There are various ETL tools available, some of them are listed here. I chose Talend, as it is built on top of Eclipse IDE and supports custom Java code. Choice of Programming language: Whenever there is a need to write code, it can be written in a programming language of your choice. This totally depends on coding languages supported by an ETL tool. This makes the tool more comfortable to use and hence reduces the learning curve. Modularity: An ETL tool is completely based on independent modules which are like black boxes and are only concerned about the input they receive and the output they produce. You can very easily plug in/out, using drag and drop/delete option respectively without disturbing other modules. Easy understanding and maintenance: The click and drag programming snippets help achieve a basic task even if a person doesn’t know any programming language like append or replace some text in strings. The visual aspect helps in increasing understanding of the logic and in easy maintenance of the scripts. A ‘split’ module will visually show multiple workflows. Example: Selecting one of the two different templates based on an input value is shown below. You can easily see the workflow for a Page Template. Mapping the same input to two different output formats at the same time. Example: Same input row generates an output XMLs. 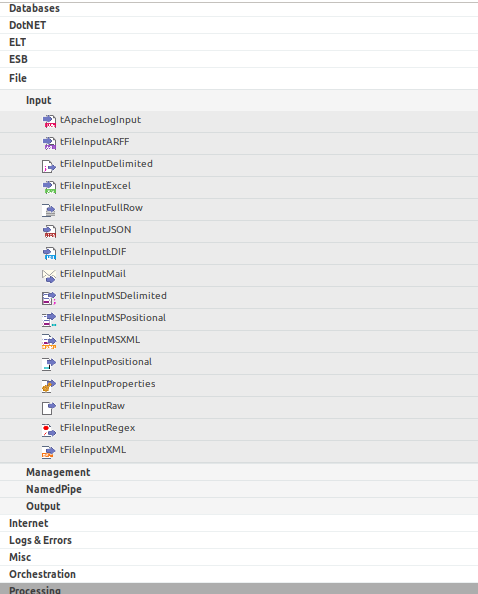 It is also logged in an excel file as shown below. Selecting output format based on an input or custom value. Example: Adding a selective condition to above example to log only those page URLs where a property named “Abstract” is either absent or empty in the Input as shown below. Easy refactoring: Refactoring is a matter of replacing or adding a new input source box and a little configuration. 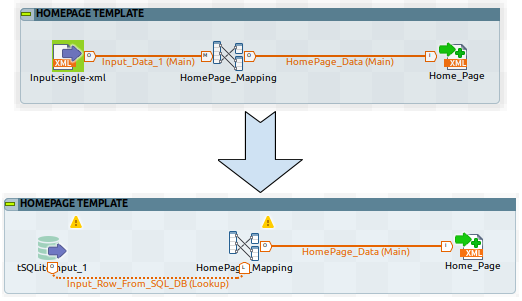 Example: As shown in the below image, Changing the input source from XML to SQL requires replacing the input module from XML to SQL and minimal configurations if the schema is same. With an advancement in digital technologies and content centric approach for marketing, it is now mission critical for companies to use right web content management systems such as AEM or Drupal. Talend and many such ETL tools could be extremely useful in migrating content and we hope this blog was helpful to you in understanding ETL and Talend.